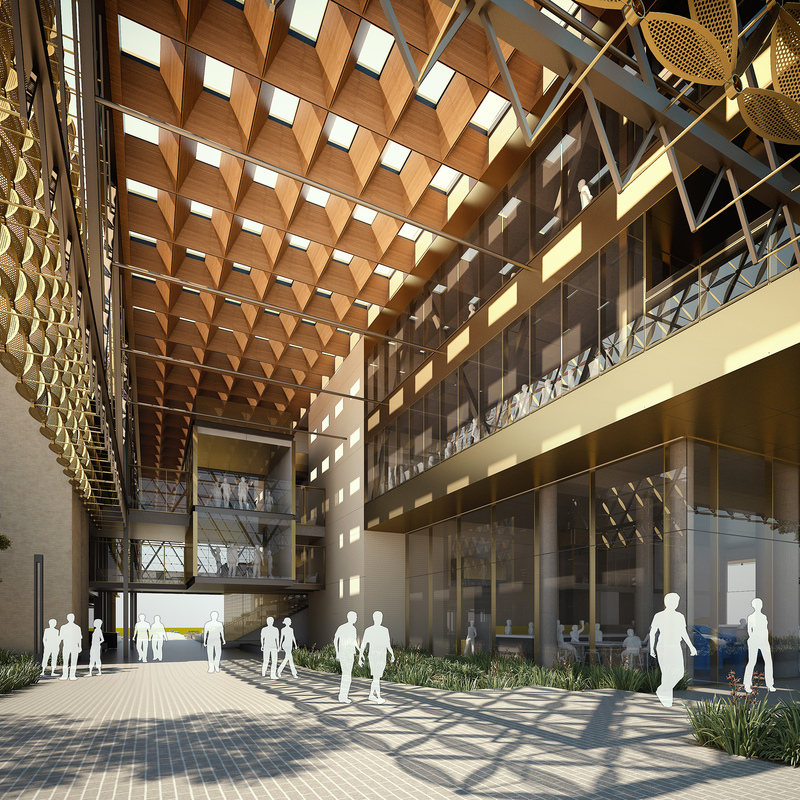 Campus Management is working with the Faculty of Engineering and Mathematical Sciences to deliver EZONE UWA Student Hub, an initiative which, once complete, will transform the western gateway to the Crawley campus. In partnership with the project team, Campus Management is undertaking extensive spatial planning and engagement with the Faculty and other University stakeholders, including the Centre for Education Futures, to ensure EZONE UWA delivers a vibrant, innovative campus space with purpose-built yet flexible use facilities, to integrate research, education and industry engagement. Utilising existing infrastructure – re-purposing and re-invigorating buildings – together with constructing new facilities will support UWA’s capacity to enrich the student experience, encourage greater collaboration, provide a world-class innovation hub and, in turn, contribute to the University’s mission of being in the world’s top 50 universities by 2050. Within the footprint of engineering buildings 222 (Environmental Systems Engineering), 223 (Mathematics), 224 (Engineering, Civil and Mechanical) and 226 (Electrical – Electronic Engineering), along the western boundary of the UWA Crawley campus, at Fairway. The initial brief for the project comprised smaller, separate stages which have now been integrated to deliver the built stage of EZONE UWA - a multi-stage construction and refurbishment program. 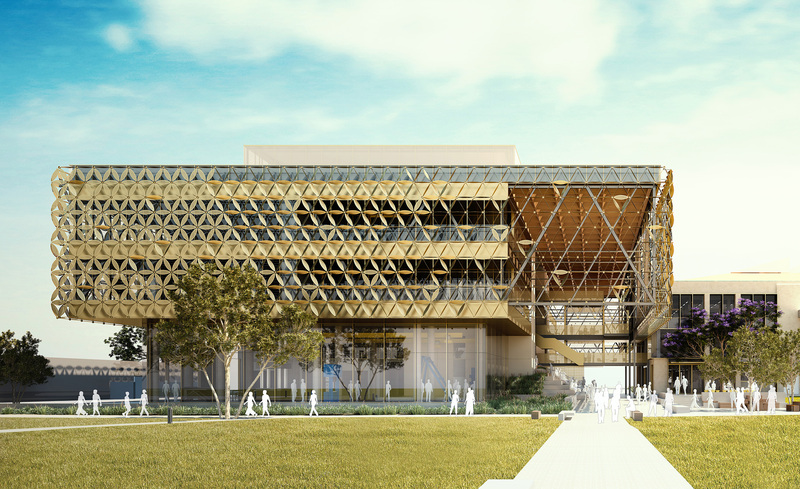 The Student Hub of EZONE UWA will be the first component to be completed and is comprised of two stages - 1A and 1B. Stage 1A consists of the refurbishment of existing buildings. The total project budget is $20 million. 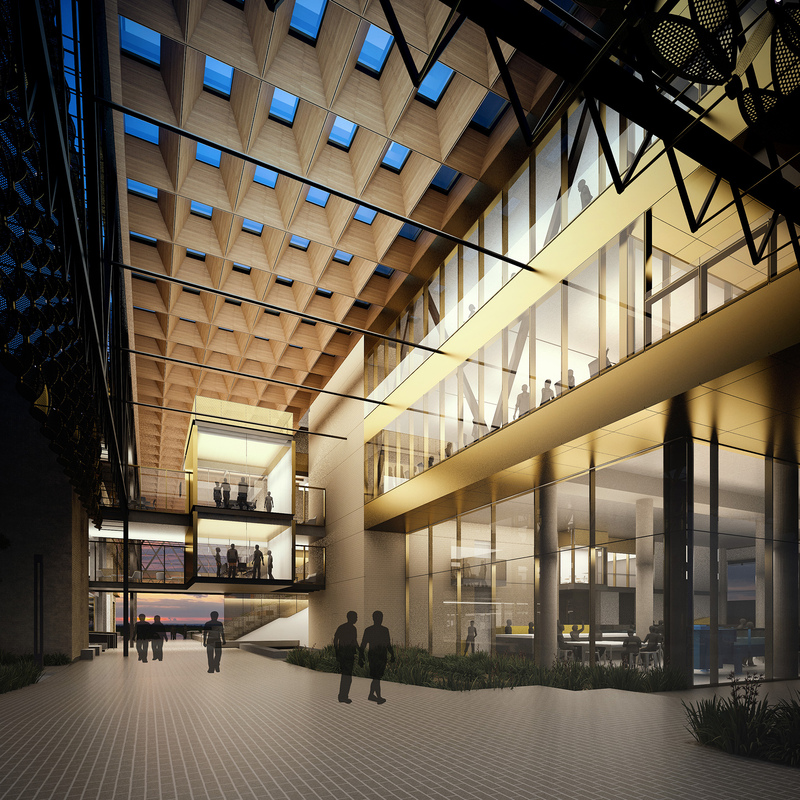 Stage 1B is the first new building component of the vision for EZONE UWA. The total project budget is $60 million. façade improvement program, linking architectural elements between existing and new buildings. linked to building 222 (Environmental Systems Engineering) via a multi-level atrium space and connected on ground level into the campus. 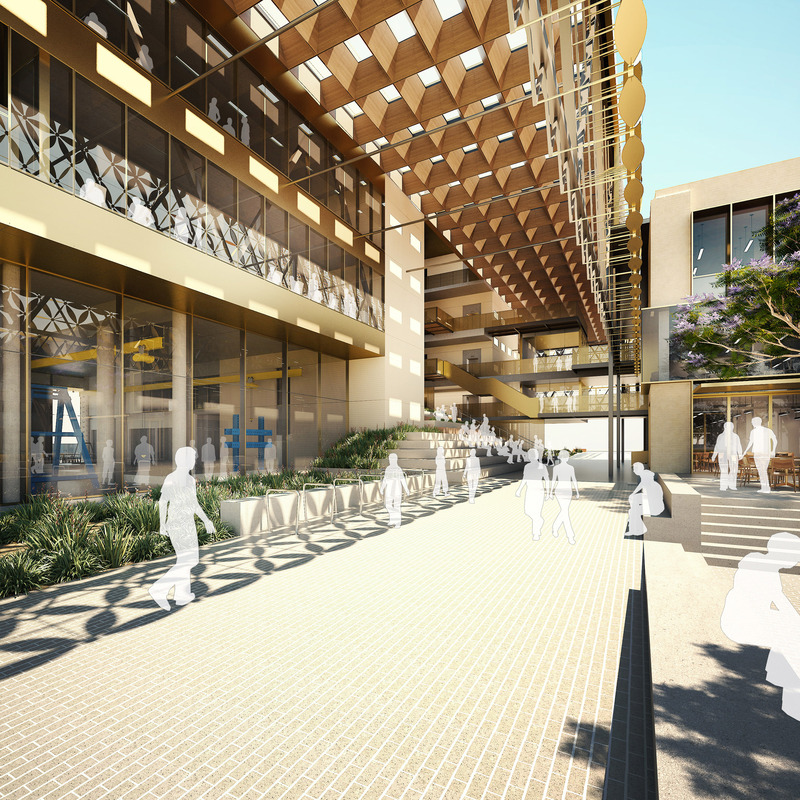 The University has appointed architects, Hassell to assist with the development of a Masterplan for EZONE UWA, recognising the precinct will form an integral part of the UWA campus. The design of the internal spaces will aim to deliver the latest, flexible, fit for purpose laboratories, teaching and learning spaces for students, staff, the University and the wider community. The design also proposes the integration of a large social hub in the form of large steps that rise up through the three storey void of the building. 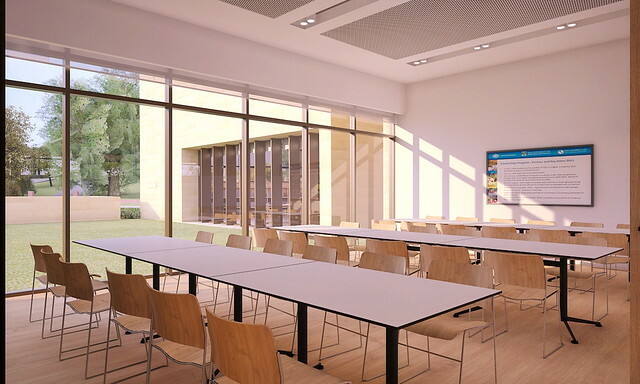 These learning steps offer spaces for quiet reflection and organised lectures. This space would form a social heart for the building and define and characterise a place of connectedness and collaboration. Connecting the campus – creating an engineering zone welcoming students, staff and visitors, enhancing connections between the Faculty and the campus, and the campus and the city, a place where industry, community and alumni can engage and share knowledge. Street frontage – presenting the new EZONE UWA building to Fairway offers a front door to the Faculty of Engineering and Mathematical Sciences. Enhancing the existing entrance from Fairway into the University and reinforcing the idea of a welcoming western entry to campus, separating service vehicles from pedestrians. Inside-out, outside-in – reinforcing the strong campus connection to landscape by blurring edges between the inside and out, and exploring the integration of landscaping elements within the building. Inspired learning – inspiring and promoting those that encounter EZONE UWA. The act of learning, researching or teaching, or the act of knowledge transfer, being enhanced by the environment in which it is conducted. Showcasing laboratories – locating flexible teaching laboratories and specialist laboratories throughout the buildings to promote the showcasing of experiments and significant research equipment. Circulation – focusing horizontal and vertical circulation and connections through the central linking foyer/atrium space between the buildings, heightening activation of communal spaces and promoting strong visual connectivity. Orientation – maximising solar control by orienting the mass of the building lengthways east-west on the campus. 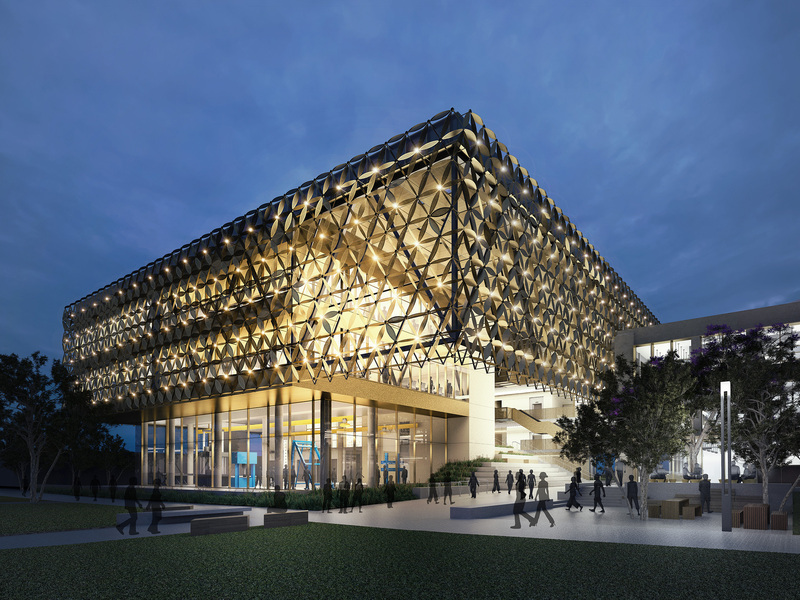 The University is building the EZONE UWA Student Hub, which will provide an unparalleled education experience for engineering and mathematical sciences students. When it’s complete, the student hub will incorporate 14 teaching rooms, three science and engineering laboratories, an extended-hours café and desks in dedicated spaces for 150 higher-degree students. 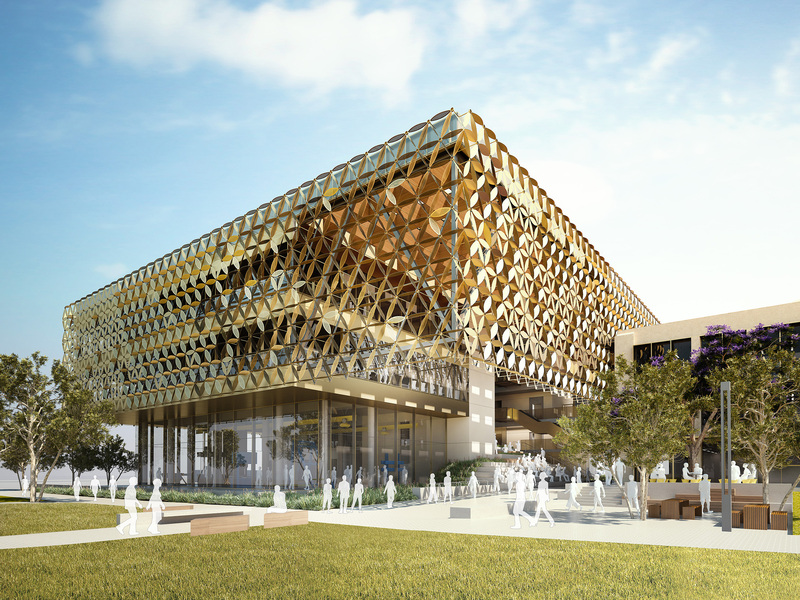 The $80 million teaching, learning and engagement space is designed to bring together students, industry and researchers, with extensive informal collaboration and study areas and an industry engagement area which includes space for student start-ups. Students are benefiting from practical learning opportunities during the design and construction phase of the project. Engineering and Mathematical Sciences students have played an active role in elements such as indoor navigation, personal safety, booking systems and renewable energy solutions. The EZONE UWA Student Hub is expected to open in time for the start of Semester 1 2020. Where will the EZONE UWA Student Hub be located? The student hub will be located on the western side of the Crawley campus, between Fairway and James Oval. What will be the impact on pedestrian access? The footpath running from Fairway to James Oval (between Civil and Mechanical Engineering and Environmental Systems Engineering) has been closed. When the EZONE UWA Student Hub opens in time for Semester 1, 2020, a pedestrian access way will run down the centre of the student hub, connecting Fairway with James Oval. While works are occurring, alternative pedestrian routes are in places. These routes run along the perimeter of the construction site (see map). What will be the impact on vehicle access / parking? A section of Car Park 15 (staff parking) has been closed and will remain closed until November 2019. This closure is necessary to safely fence off the construction zone. What will be the impact on classes / venues in the area? There will be increased noise and dust over and above the normal activities of the University. The impact of these will be managed by the contractor and will increase and decrease reflecting the activities on site during the demolition and construction process. What will be the impact on neighbours? There will be ongoing heavy vehicle movements through to November 2019. What is the timeline of works? Demolition will be completed by the end of June 2018. Construction will continue until November 2019. When will the asbestos containing materials (ACM) removal occur? All ACMs have been removed. The ACM removals were undertaken by licensed asbestos removalist under controlled conditions in accordance within the legislative requirements of the Code of Practice for Safe Removal of Asbestos. All removals were overseen by an independent environmental consultant under an approved asbestos removal control plan. Monitoring will be provided by the independent environmental consultant before clearance is given to progress to the demolition of the buildings. The UWA Asbestos Management Plan provides more information in relation to how ACMs and asbestos removals are managed. The UWA Asbestos Management Plan can be viewed here. Who should I contact for more information or if I have concerns? Further information is available from Merv Shortt (Manager, Major Projects). For the latest media releases and news visit EZONE UWA. View the latest time lapse camera vision from EZONE Student Hub.